Join Nanci on Thursdays, April 11, 18 & 23 from 10 – 12pm. $85 plus materials. What could be better for baby or toddlers? 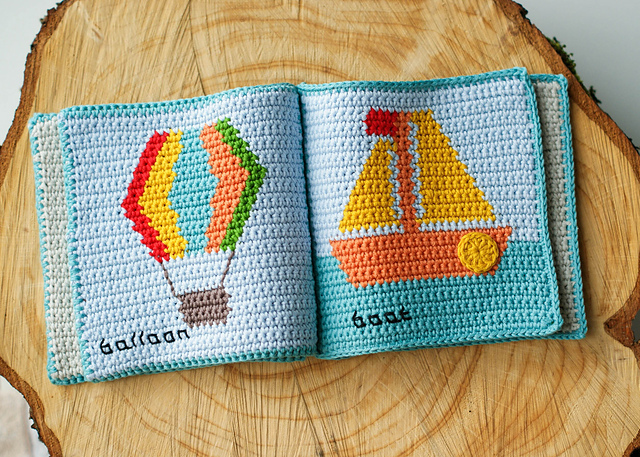 A picture book crocheted by you! This eight-page book is made with intarsia crochet and is a great introduction to crochet color work. Must know how to sIngle crochet. We will talk about color changing, chart reading and finishing.